Saturday night the choir in which my wife sings presented, a more or less complete performance of Handel’s Messiah. Despite being intimately familiar with some of the pieces either through playing or singing, this was my first time hearing everything in full context. 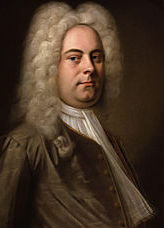 I knew some of the Messiah pieces well enough to spot some changes in interpretation that the new music director of the choir was bringing to this performance. I suppose this is how music critics get started, but even as a seasoned writer, I would find a choral concert review a rather daunting task. Exactly a week earlier, I had stood on a stage in front of a much smaller audience and sung the Andrae Crouch lyric, “No, it’s not just a story, but reality.” It was part of a larger, 3-night series of mini-performances involving people from across a wide spectrum in the community. I did wonder how many of the performers would be in a worship service that weekend. Everyone knows the lyric, “God and sinners reconciled;” but how many can tell you how that atonement process works? Or how they’ve experienced it? Perhaps that’s asking too much. Students of classical music simply take the religious texts as a given. That was the music of the day. People went to church on Sunday, too; but that’s another discussion. In the choir were some of the best of the best musicians in our little town; people who themselves would be directing church choirs the next morning — being paid to do so — but the question would still stand; is this just another gig or do they know the Jesus of whom we speak? Let’s face it, musicians are the worst. The poster children for total depravity. We never really know the spiritual state of someone else. How God has worked and continues to work in their lives. Or what masks of pretension they don when walking into a church building. Messiah is about Jesus. He’s not in the choral work insofar as he doesn’t show up to turn water to wine, feed the 5,000 or raise Lazarus. But it’s all about him. It’s helpful to know that on a personal level. …Messiah doesn’t end with the chorus ‘Hallelujah.’ There is a much shorter third part and then the climax is ‘Worthy Is the Lamb.’ provided below. Blessing and honor and glory and power be unto Him! Yesterday we looked at some very superficial reasons which draw people into the larger music business with a hope that church musicians can understand their own music-personality type. Today we want to be more specific in looking at the raw, on-the-surface practicalities of drafting the music for Sunday morning. If you look at a recipe, it’s always divided into two sections. First you have a list of ingredients, and then you have the instructions as to how you wish to use them. Worship planning is very similar. There’s a list of songs you want to use, but how do you blend and mix them? Perhaps there’s a song that is going to occur at the beginning and the end of the service. Possibly two songs might play off each other (i.e. How Great Thou Art and How Great is Our God). Some might stand alone, while others might combine into medleys. You want to choose your ingredients carefully. Just as in baking, some elements might conflict. Some choices might be too spicy. Others might be too bland. In a salad, you go for color and music is no different. A seasoned worship leader will have about 5,000 songs in their head at any one time. Unless you get to plan a worship night, you’re probably only going to do about five songs. You have 4,995 songs to leave out. Your job is to give people the means by which they can respond to God for his greatness and goodness, his holiness and majesty, his love and compassion; just to name a few. The songs should resonate with young and old, and therein lies a challenge. 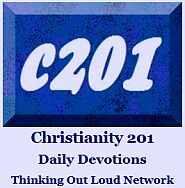 With different strains of ingredients (classic hymns, 20th century gospel hymns, Maranatha! Music, Vineyard, modern worship leaders, modern hymns, soaking music, Hillsong, UK-based songs, etc.) you can appeal to different demographics, or you can choose to present a more musically-unified selection. If you want to see a younger demographic, you also have to skew your choices to people who perhaps aren’t there yet. That’s risky, but some churches do this. Some Evangelicals see the worship time as preparing the hearts of people for the teaching of the word. Some Evangelicals see the praise time more liturgically as valid on its own. I personally lean more to the second position. Still you want to know what the sermon topic is so your two selections don’t conflict. A worship time will be rather uneventful if it is just straight singing. You want to intersperse related quotations, read one of the verses before or after singing it, include quotations, or even do a “story behind the song” type of introduction. Many leaders default to Psalms, but some congregants tune them out. But there are exceptions; last week in our church the readings were all from the same Psalm and the songs chosen around that. One of the values of corporate worship is that there are things we can do together that we can’t do alone (i.e. just listening or singing along with an album or Christian radio station at home.) 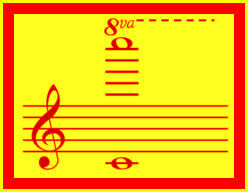 The music should somewhat exploit the congregational dynamics. There should be some lively songs (by whatever parameter you measure that in your style of church) and there should be some songs where the beauty of blended voices can be both heard and felt. It’s very humble to say, “God gave me these songs this week;” but better to deflect the credit to the creators of the songs, or best, God Himself. “This is a new song, written by a musician who God is really using to stir us to deeper worship.” Or, “This song really focuses on God’s knowledge and wisdom and helps us consider how the ways of the Lord are so much beyond anything we could understand.” With opening statements like that it takes the focus away from you; you’re seen rather as a hunter and gatherer of worship that’s already out there. 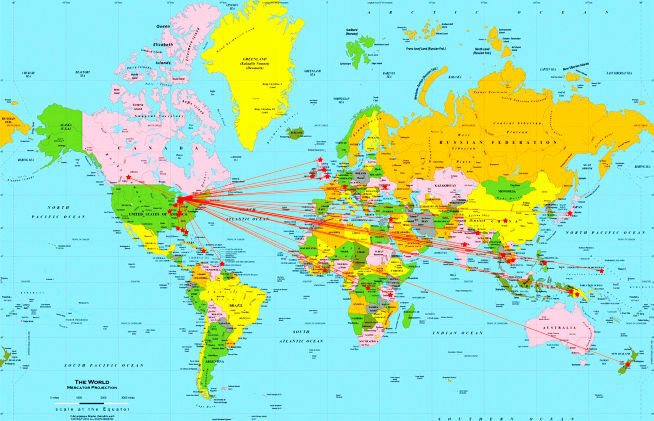 Occasionally, I would remind our congregation of the vast number of churches that were joining us in worship across our city, across our denomination, and in our nation; and then I would remind them that in North America, we occupy a place at the end of the timezones, joining a worship service that has been taking place around the world that weekend. 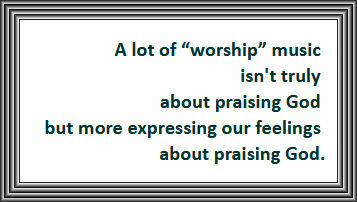 Just thinking about that now, I am reminded of its potential to reshape how we approach worship. So those are the superficial factors. But there are also some very spiritual considerations. That would make a great third part to this weekend series, but Laura covered that for us so well a few years ago, I’m going to invite you to simply click here. So you want to be a rock ‘n roll star? You can do that in many ways in many places, including your local church. What attracts people to work in the music industry in general? I’ve listed a few things below that I think apply both within and outside the church context, and one, at the end of the list, that I believe is more common only within Christian experience. Worship leaders: Perhaps finding what attracts you to music in the first place will help you understand your personality type as a musician. Some people just want to play. They live to gig. If you’re a drummer and you can’t sing, you’re never going to be center stage, and people might not even know your name, but that’s okay, right? The idea is to simply make music, either in a live context or in a studio. The busier the schedule, the better. For others, being center stage is really important. They are attracted by the idea of being a name you would know. They might already have their own web domain. Or an agent. The goal for some people is just to make an album. They aren’t looking for bookings and they aren’t looking for fame. They just want to have that physical CD in a plastic case that they can give to their friends, and show to their kids some day. (“That’s neat, Mom. Too bad we can’t play it on anything.”) Or worst case, the digital equivalent. Sales in retail stores would be an added bonus. The nice thing about this as a goal is you don’t have to give a single concert or even be able to carry a tune. But if you can compose meaningful songs and get others to perform them your music can travel to places you can’t. For people who are happy behind the scenes, this is an achievable goal, though usually the singer/songwriter usually has their own material. For people who do perform, the goal here is getting their songs covered by other groups or solo artists. Just as there are frequencies that only dogs can hear, there is a smell in recording studios that only some people detect. To most of us, a 48-channel recording console looks intimidating, like the cockpit of a jet plane, but to them, the lights and dials are all in a day’s work. Their job demands that they live to serve the needs of others, but we know the names of many producers who have never recorded a single note themselves. Although this can apply to any of the areas listed above, if we’re dealing with the area of motivation, then money can be a driving force. If you’re competent at publishing, performance, production, etc. and you need to pay the bills, you do what you’re good at. This is the one I feel is more common to Christian musicians, though it’s not entirely unique since it applies to anyone who feels they have a message to communicate, whether it’s 60s hippies protesting the Vietnam War, or 80s rockers crusading for environmentalism. Today the message might still be anti-war, or racial equality, or perhaps gay rights. 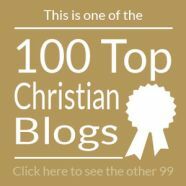 It is in this milieu that Christian artists raise their voices to express their faith or tell their story, though in the last dozen years, Christian music has been dominated by vertical worship — we could have had another P-word, Praise — which lessens the number of testimony or teaching songs being heard. We have, as Randy Stonehill put it many, many years ago, “the hottest news on the rack,” and so that motivates Christian musicians to make music which reflects their core faith beliefs. …Of course, playing because you want to have a message to share is a noble ideal, but many musicians also fall into one of the other categories as well. They want to make an album, or achieve popularity, or be able to make a living from their art. That’s okay, right? Tomorrow we’ll look at some of the practical ingredients of worship, comparing it to a recipe that worship leaders bake each week! 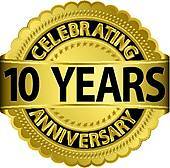 This may not interest everyone, but today, one of the other blogs in the Thinking Out Loud blog network is celebrating its tenth anniversary. 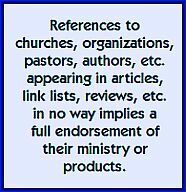 Christian Book Shop Talk is written for the owners, managers and staff of Christian bookstores in Canada. To drop in on the party, click this link. When the musical aspect of the last ten years of modern worship is examined, the unique technical distinctive that will be remembered is what’s known as “the octave jump.” For reasons outlined in the video below, it has become a staple of modern worship. Unlike “the key change” which increases energy, but usually doubles the number of chords required for any given song, octave-jumping allows musicians to continue following the same basic chord structure, while the vocalists do the heavy lifting. If we’re talking about a concert, then it’s the people onstage who are trained singers. However, in a church setting, the aforementioned vocalists are you and me, and the result is going to be vocal strain. Bungee jumping might be safer than octave jumping, and that’s allowing for the screaming when you first jump. 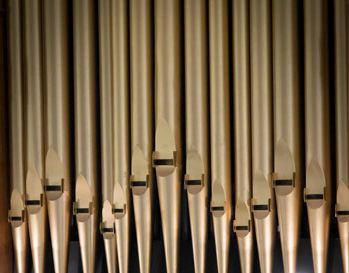 After two weeks looking at the issue of the pitch range of modern worship songs — especially when contrasted with their hymn counterparts — a veteran worship leader looks at octave jumping. We’re joining David Wesley in the middle of a series here, so if you’re up for more or are just a frustrated congregation member who wants to forward something to your worship leader (!) click through to YouTube — on the bottom right of the video — then click his channel name underneath the video. On the other hand, you can just click here. A few years ago, Evangelicals starting using words like Advent and Lent and Lectio Divina. 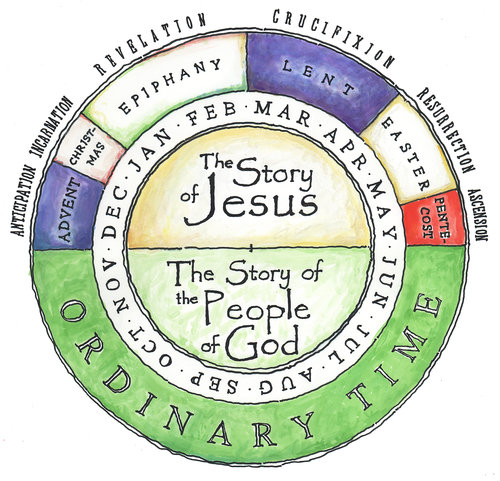 While some purists probably thought this was the proverbial “Road to Rome,” some of us were thankful that the Episcopals, Anglicans and Catholics didn’t have a copyright on the liturgical calendar. However, at the same time as this is taking place there is another distressing trend at the other end of the worship continuum. Increasingly, worship leaders seem blissfully unaware that there are songs which are especially suited for Easter Sunday and more disturbingly, Good Friday, or the mandate that these days issue to them. I attended a number of Good Friday services this year and got to witness this firsthand. The lack of focus was rather appalling, however, as I said, the standard has been eroding for at least the past decade, to the point where younger worship leaders and worship planners have never had an Evangelical Good Friday service properly modeled for them. How Evangelicals Lose the Plot on Good Friday (2015, based on a 2012 article). One of the services I attended included Hosanna, which is a song for Palm Sunday and comes packed with the mood you’re not trying to create on Good Friday. Ironically, of all the services we attended or watched online, it was a capital “L” Liberal denomination’s church that got it right. We sat in a room with only 22 attendees and although there was no sermon, I give them 100% for liturgy and 100% for music in terms of capturing the intent of a Good Friday service. This is a rant I will never stop. I’m sorry, but… well, here’s what I tweeted a week ago, possibly in anticipation of the weekend which was to follow. If this week we are simply using the same music we use the rest of the year we are telling our children that Good Friday really isn't any different from any other service and Easter Sunday isn't really any different from any other Sunday. The songs we choose should be special.